Cell Biology. Bioassays. 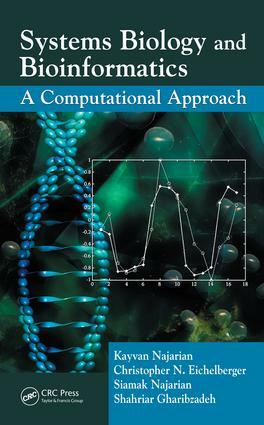 Review of Some Computational Methods. Computational Structural Biology: Protein Structure Prediction. Computational Structural Biology: Protein Sequence Analysis. Genomics and Proteomics. Methods for Identification of Differentially Expressed Genes or Proteins. Binary and Bayesian Networks as Static Models of Regulatory Pathways. Metabolic Control Theory for Static Modeling of Metabolic Pathways. System Identification and Control Theory for Dynamic Modeling of Biological Pathways. Gene Silencing for Systems Biology. Simulation and Systems Biology. Software, Databases, and Other Resources for Systems Biology. Future Directions. Index.